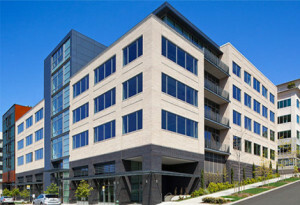 At DSC Capital, we understand that every commercial real estate financing project is unique. When working with our team of principals, you will find that our long-standing relationships with capital providers and our dedication to working together as a cross-discipline real estate financing team allows us access to a wider array of capital resources and customized financing structures for your next transaction, whatever the complexity or size. In the highly competitive first mortgage and mezzanine debt capital market, it pays to be on a first name basis with dozens of lenders. This kind of insider knowledge gives us the ability to offer our clients multiple funding sources and financing solutions. Our relationships with lenders is carried through the entire negotiation and transaction process, as we remain involved through closing and loan servicing. Experience, knowledge and objectivity are the advisory skills most prized in a consultant. When it comes to your commercial real estate investments, we at DSC know it’s important to look at your portfolio as a whole and to provide direct, strategic advice. Whether your goal is to access imbedded equity capital, refinance maturing loans, lower your cost of capital, or move to non-recourse financing, DSC will both advise and guide you toward the most advantageous solution. While remaining in compliance with your loan’s performance conditions is critical to the health of the lender-borrower relationship, the task of regularly reporting to life insurance lenders, agency financing providers and CMBS loan servicers can be both tedious and time consuming. DSC’s full range of financing services includes management of these important servicing tasks on behalf of the borrower. As a correspondent for life insurance lenders, DSC’s loan servicing includes comprehensive underwriting analysis, annual financial statement management, ongoing escrow management and periodic property inspections. Due to our long-standing relationships with a diverse array of equity investors, DSC is well-positioned to assist clients interested in raising equity capital. We work closely to understand our clients’ financial requirements and advise on an overall capital strategy that balances the advantages and disadvantages of active or passive equity capital, costs and differing investment terms. To that end, DSC sources a variety of suitable investors and provides a detailed capital cost analysis to create the ideal transaction, structured with your needs in mind.